The stand-in BT Movit N-series tow tractors are well suited for light-duty towing or order picking applications. 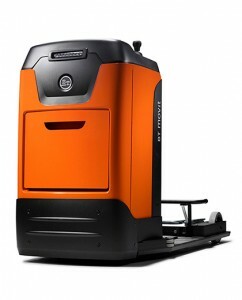 They offer a towing capacity of up to 1.5 tonnes and a wide choice of load carriers. 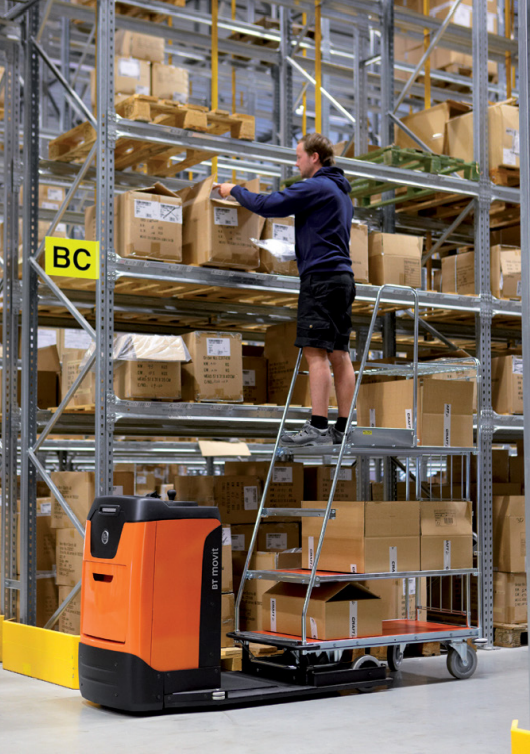 The narrow chassis design and low 70 millimetre step-in height give drivers improved manoeuvrability and comfort during material handling operations. Lightweight and versatile, these trucks are ideal for offices, small stores, warehouses, hotels, factories and hospitals. Offering the shortest turning radius in the N-series, our TSE100W tow tractor is designed to dock with individual load carriers for efficient order picking and step-up solutions. The truck’s steering allows it to turn on its own axis, enhancing driveability in confined working areas. Suitable for use in offices, stores and warehouses, the TSE100/150 models for conventional towing feature a wide variety of load carriers. The N-series models offer a choice of chassis widths and are capable of towing multiple trolleys with a total load weight of up to 1.5 tonnes.